William Bourdeau is Vice President of Harris Farms, a Director of Westlands Water District, and Chairman of the Board of the California Water Alliance. Bourdeau recently talked to California Ag Today about the Sustainable Groundwater Management Act (SGMA), which will force growers in 2040 to keep the water levels in their wells in balance and not allow over-drafting. “I can’t understand why that we can’t solve this problem. And I do think surface deliveries need to be tied into SGMA,” he said. Bourdeau said he believes that the problem can be solved and not be detrimental to the environment. “But any solution must consider humans and our needs … surface deliveries need to be incorporated into the plan,” Bourdeau added. “We need to use sound science, and it needs to be peer-reviewed. “We need to make sure that we’re doing everything we can to preserve a domestic food supply capability. I think it’s in our national interest. … It’s a national security issue,” he said. Bourdeau believes that we need to get away from looking at these very narrow issues and look at the big picture. “We must find a way to do what’s best, and not all the decisions are going to be desirable, but I do think we can. We can make decisions that solve the problem and don’t take this wonderful resource out of production. As a director for Westlands Water District, Bourdeau said no stones will be unturned for compliance to SGMA. “We’re doing everything we can to try to make sure that we manage this situation to the best of our ability and our growers are represented in a way that they will succeed in the long term,” he said. Again, it came down to fish, specifically Chinook salmon, that forced the proposed Temperance Flat Dam out of the race for Proposition 1 funding for building new water storage projects. Mario Santoyo fought hard for Temperance Flat Dam funding. For more than 20 years, the Temperance Flat Dam proposal was passionately advocated with unwavering support by Central Valley cities and the San Joaquin Valley Infrastructure Authority (SJVIA) who were behind the application. Temperance Flat came crumbling down Wednesday at the California Water Commission (CWC) meeting in Sacramento on the second day of discussion. On Tuesday, CWC staff members assigned to crunch the Public Benefit Ratios for the project were solidly encased in concrete, refusing to grant the project any consideration for its ecosystem restoration benefits. The Dam would provide critical cold water to flow down the San Joaquin River, thus helping the salmon spawn. CA Water Commission denied funding for Temperance Flat Dam. And while the official public benefit calculation came up short today, proponents already saw that the project was already on life support Tuesday, with a dire prognosis. It all boiled down to the Ecosystem Diagnosis and Treatment (EDT) model that was approved by Bureau of Reclamation and the California Department of Water Resources. Despite both approvals, that model did not jive with the Commission staff’s model, which undervalued the project’s public benefit ratio, killing the opportunity for Temperance Flat Dam to receive funding of more $1 billion for construction. “We are working in an area of great uncertainty in professional judgment,” Bill Swanson, vice president, Water Resources Planning & Management for Stantec, a global planning and engineering firm, who presented data for the SJVIA. “We do not have fish in the river. We do not have empirical data. The only issue available to us is a comparison of how the system would respond to changes in flow, temperature and habitat,” Swanson said. “That’s the reason we used the EDT model, the same model that the Bureau of Reclamation has used in their models of flow,” Swanson explained. “The SJVIA’s challenge was how to take the results of that model and analyze them to a level of detail that distinguishes the precision that we might want to have around the results,” said Swanson. Stantec’s Bill Swanson advocated for Temperance Flat Dam funding. Several Water Commissioners publicly wrangled with their staff on how they could make the project work. They sought areas to increase the project’s cost-benefit evaluation to get it funded. Commissioner Daniel Curtain distinguished two parts to the discussion—physical and monetary. “Take a look and see if there is a physical benefit for ecosystem restoration. Finding a potential benefit and attaching a potential monetary benefit could be helpful,” he said. The project was also short on points for recreation opportunities on what would be a new lake behind the 600-foot high dam east of Fresno, behind Friant Dam. Commissioner Joseph Byrne said he hoped for more thought given to the recreation cost benefit. “Intuitively, zero benefit does not make sense. We need a higher level of confidence in the estimated recreation cost-benefit,” he said. CWC staff stipulated that while the newly created lake behind Temperance Flat Dam would accommodate boating activity, the lack of camping, hiking, and other activities within the existing San Joaquin River Gorge neutralized any recreation benefits. If built, the Temperance Flat Reservoir would contain 1.26 million acre-feet of new water storage above Millerton Lake, northeast of Fresno. Temperance would have helped provide a more reliable supply of fresh drinking water for disadvantaged Valley communities. It would have enabled below-surface groundwater recharge, addressed extreme land subsidence and provided critical help to farmers facing severe groundwater restrictions due to the Sustainable Groundwater Management Act (SGMA). Santoyo said the SJVWIA spent more than $2 million on the California Water Commission application, utilizing what he said were the most qualified engineers to develop the technical data required by Commission staff. 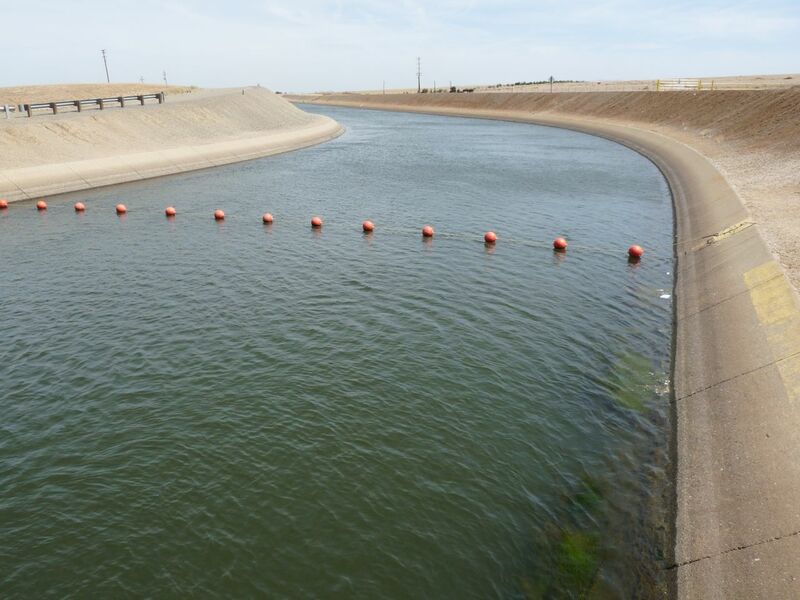 The U.S. Bureau of Reclamation, which administers California’s Central Valley Project for the U.S. Department of the Interior, has invested more than $38 million in studying the project. Santoyo said those studies supported the finding that the selected Temperance Flat site is the most preferred location for such a crucial project. Water users, counties, and cities across much of the San Joaquin Valley have again found the California Water Commission staff to be unbending over efforts led by the San Joaquin Valley Water Infrastructure Authority (SJVWIA) to both develop Temperance Flat Dam and create badly-needed additional San Joaquin River water storage in a major new Central California reservoir. Mario Santoyo, the Executive Director of the SJVWIA is stunned by the California Water Commission’s staff’s decision. The Water Commission staff today reacted to the SJVWIA appeal in February of an earlier very low public benefit ratio score by assigning only a token improvement in point totals. Temperance Flat’s public benefit ratio was increased from 0.10 to 0.38. A score of 1.0 has been generally considered a minimum for an application to advance, reflecting the bond measure’s emphasis on benefits stressing the environment and flood protection. Temperance Flat, which would be a reservoir containing 1.3 million acre-feet of new storage space above Millerton Lake northeast of Fresno, is one of the state’s two largest proposals seeking to be awarded some of the $2.7 billion in Proposition 1 funding for new storage projects. The SJVWIA, in its application, calculated the Temperance Flat Project should have a public benefit ratio of 2.38. In its appeal, the SJVWIA sought a total of $1.055.3 billion in Proposition 1 funding under the Water Storage Investment Program but the latest CWC staff action would yield, if granted by the full commission, just over $177 million. The other large proposed project, Sites Reservoir in Northern California, was similarly rebuffed. “This scoring is devastating but the San Joaquin Valley Water Infrastructure Authority is not giving up,” said Steve Worthley, SJVWIA president and chairman of the Tulare County Board of Supervisors. “We’re going to take our case directly to the Water Commission staff next Wednesday (April 25) and then to the water commissioners themselves May 1-3. In fact, Worthley said, Proposition 1’s major storage provisions were written by the Legislature with big projects such as Temperance Flat and Sites specifically in mind. In a lengthy letter today to the SJVWIA, the Water Commission staff indicated it accepted many of the arguments raised on appeal by the Temperance Flat project’s planners but increases in benefit scoring that were awarded on each item were merely minimal. Santoyo said the SJVWIA has spent more than $2 million to date on the Water Commission application, utilizing what he said were the most qualified engineers to develop the technical data required by the commission staff. The U.S. Bureau of Reclamation, which administers the Central Valley Project for the Interior Department, has invested more than $38 million in studying the project. He said those studies resulted in a finding that the selected Temperance Flat site is the most preferable location for such a project. The SJVWIA was organized as a multi-jurisdictional joint powers authority in order to meet the need for coordinated Valley-wide leadership and collaboration in developing the Temperance Flat Project. The SJVWIA was formed by boards of supervisors in Tulare, Fresno, Kings, Madera and Merced Counties and also includes representatives from Valley cities and water agencies. The Bureau of Reclamation announced an initial 2017 water allocation for the Central Valley Project, and it’s considerably lower than what was expected. Despite a wet winter and a significant snowpack, the Bureau has only allocated 65 percent of their contract supply to South-of-Delta contractors. Johnny Amaral is the Deputy General Manager for the Westlands Water District – the largest agricultural water district in the United States. Amaral thinks the deck is stacked against area growers as a result of water policy. “There are laws on the books that were deliberately put into place that created this bottleneck in the CVP and have hamstrung the CVP. This is the outcome that you get when you purposely curtail project operations or pumping: You get shortages,” Amaral said. 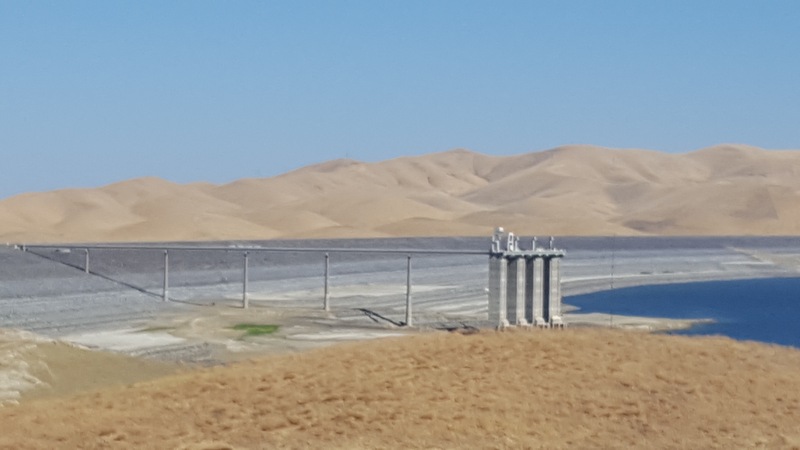 San Luis Reservoir is full this season, yet the allocation is only 65 percent. The 65 percent allocation is especially disheartening since the announcement was not released until well into the planting season, forcing farmers to make decisions about land use and labor without any assurance of water supplies. Amaral thinks there’s a need for a serious policy discussion as to whether the government truly values what growers produce. “Those laws are going to have to be changed if we’re ever going to restore water supply to a situation where the westside ag contractors get 100 percent,” Amaral said. Westlands Water District is made up of more than 1,000 square miles of premier farmland in western Fresno and Kings counties and provides water to 700 family-owned farms, averaging about 875 acres in size. Amaral believes that it is time for legislators to reevaluate their priorities. “It really comes down to a very simple but more fundamental policy question about, ‘Do we value being able to grow our own food in a safe way? Does that matter to people?’ ” Amaral said. During election season last fall, then-candidate Donald Trump vowed to fix the water problems in California. Farmers are going to need to be patient in their desire to see some action on those promises. “The agencies that have direct influence over western water issues and western resources issues, it’s really the Department of Interior. The Secretary of Interior was just confirmed a couple of weeks ago. … There are a whole host of positions and people that need to be nominated and put into place for the Trump Administration to really have a day to day impact over how the decision’s made on water supply and project operations,” Amaral said. Will the 5 Percenters—the Federal water users in California who were restricted by a 95% water allocation reduction this year—actually receive the promised 5% allocation? This scenario follows a more-than-average winter rainfall and snowfall throughout the state. Ryan Jacobsen, executive director and CEO of the Fresno County Farm Bureau, said, “arguably it’s turned out to be much worse. Right now, for the initial 5% allocation to even be questionable right now is just absolutely insane. It all boils down to the amount of water being held up in Lake Shasta for fish purposes, which has put a major stranglehold on what’s happening down here at this point,” noted Jacobsen. At Shasta Reservoir, a keystone reservoir of the Central Valley Project, the U.S. Bureau of Reclamation essentially discharged flood releases earlier this year just to make room for the water that was expected to come in. Shasta now stands at a above average full for this time of year, because the Feds are holding all the water for release for salmon later. This is part of the plan to have cold water available to release for the salmon. And Shasta actually has 30 percent more cold water than what they thought, and water leaders are pushing hard to get the Feds to release it for agriculture. And San Luis Reservoir is at a dead-pool status, which insures no more water can be sent south from that reservoir. Dead pool means no more water can be drawn from San Luis Reservoir, which does not bode well. Jacobsen reiterated, “Back when the precipitation was falling [last winter], water was available at some extraordinarily high levels; yet, we never saw the increase in pumping that we would have expected under the normal conditions. “Of course, we’ve seen less pumping this year for the farmers and the cities south of the Delta,” noted Jacobsen. “During the times of the rainfall this year, it was essentially excuse, after excuse, after excuse. Some newer excuses pertained to why the pumps were not operating or operating at a very reduced capacity,” explained Jacobsen. Jacobsen’s leading frustration is that all that water taken from farmers and given to fish has not helped the fish at all. In fact, the smelt and salmon numbers continue to decline. “I talk about growing frustration and anger from so many folks in the last couple of years… specifically because it hasn’t made a difference,” said Jacobsen. “An exorbitant amount of water has been given up for these fisheries, [endangered fish populations] continue to decline and crash, and as we’ve been saying for years, it is beyond time to look at just the water exporters,” he added. Jacobsen maintains other stressors should be seriously investigated. “Many other issues taken place in the Delta should be pulled into play here, but again the regulators and the environmentalists continue to look only at the exporters as the sole issue for fish decline. There are so many other factors out there that need to be looked at,” he said. Highly recommenced reading: “We are the 5 percenters, stretching our water supplies to get by,” by Joe Del Bosque, Contributing writer, The Orange County Register, July 14, 2016. The following is a joint statement by Jason Peltier, executive director of the San Luis & Delta-Mendota Water Authority and Tom Birmingham, general manager of the Westlands Water District on today’s filing of a lawsuit to compel the U.S. Department of the Interior, Bureau of Reclamation to reassess its Endangered Species Act (ESA)-related actions. FRESNO, CA-TODAY the San Luis & Delta-Mendota Water Authority (SLDMWA) and Westlands Water District (WWD) filed a lawsuit in federal court to compel the U.S. Bureau of Reclamation (“Reclamation”) to examine the effectiveness of the existing measures intended to protect endangered species, the environmental impacts of those measures, and whether there are alternatives to those measures that would better protect both endangered fish species and California’s vital water supplies. The existing measures, adopted in 2008 and 2009, are based on biological opinions issued under the Endangered Species Act. The measures are responsible for the largest redistribution of Central Valley Project and State Water Project (water supplies away from urban and agricultural uses and have jeopardized the water supply for waterfowl and wildlife refuges. Since 2008 and 2009, the farms, families, cities and wildlife that depend upon Central Valley Project and State Water Project water supplies have suffered substantial environmental and socio-economic harm from the reduced water deliveries caused by the existing measures, with little apparent benefit for fish. It is beyond dispute that Reclamation’s implementation of the Biological Opinions (BiOp) has important effects on human interaction with the natural environment. We know that millions of people and vast areas of some of America’s most productive farmland will be impacted by Reclamation’s actions. Those impacts were not the focus of the BiOp…. We recognize that the preparation of an Environmental Impact Assessment (EIS) will not alter Reclamation’s obligations under the ESA. But the EIS may well inform Reclamation of the overall costs – including the human costs – of furthering the ESA. The court-ordered review provided Reclamation a rare opportunity to reexamine the necessity for and the benefits of the existing measures, as well as the resulting impacts on the environment and water supplies, potential alternative measures, and new information and studies developed since 2008 and 2009. It provided Reclamation an opportunity to make a new and better-informed choice. Unfortunately, Reclamation neglected to take advantage of that opportunity. In November 2015 Reclamation completed an EIS that did not examine whether the measures are necessary or effective for protecting endangered fish populations. Instead of analyzing the existing measures, Reclamation accepted them as the status quo. The EIS did not identify any mitigation for the water supply lost to these measures, despite current modeling that estimated how the existing measures would reduce the annual water delivery capabilities of the Central Valley Project and State Water Project. Loss was estimated to be over 1 million acre-feet on a long-term average and in spite of years of harm caused by implementing the measures. Nor did the EIS try to identify alternatives that could lessen these impacts. Reclamation attempted to minimize the impacts of lost surface water supply by unreasonably assuming the lost supply would be made up from increased pumping of already stressed groundwater supplies. In its Record of Decision issued January 11, 2016 Reclamation announced that it would continue on with the existing measures, and provide no mitigation. It is inexplicable that Reclamation would pass up the opportunity to reassess the existing measures and make a much more careful and robust analysis than what is found in the EIS. NEPA requires no less. The lawsuit filed today seeks to compel Reclamation to do the right thing and perform the analysis it should have. If successful, the lawsuit may ultimately result in measures that actually help fish, and identify mitigation activities or alternatives that lessen or avoid water supply impacts that millions of Californians in the Central Valley Project and the State Water Project depend on. Many of those affected reside in disadvantaged communities and are already struggling to pay for a water supply made scarce by layers of other, yet equally ill-advised bureaucratic regulations. California’s water supply is too precious for Reclamation not to make the best informed decision it can. Late last week, word spread that the @CaWater4All Initiative may postpone the Water Priorities Constitutional Amendment and Bond Act proposition from the 2016 ballot to the 2018 ballot. California Ag Today’s Patrick Cavanaugh, farm news director, spoke with Aubrey Bettencourt, executive director of the California Water Alliance, which is behind the initiative, with major funding by California Westside Farmers State PAC (FPPC #1381113). Cavanaugh: Is the @CaWater4All Initiative campaign still slated for the 2016 ballot? Bettencourt: We did not stop the campaign, but we do have two deadlines. In other words, we are looking at all options. We are still on track for 2016; we are not letting up on gathering signatures. And if for some reason we reach the April 26, 2016, deadline for placement on the November 2016 ballot, but with an insufficient number of signatures, then we will steer for the 2018 ballot. I feel strongly that support is still there to pass the measure. Cavanaugh: So there is a full-court press for unpaid volunteers to get the signatures by the 2016 ballot deadline. How will you ramp up the volunteers to sprint to the finish line? Bettencourt: We are working on strengthening and systematizing our volunteer coordination across fourteen counties so it can be replicated among the various teams in Riverside, Los Angeles and Fresno, for example, working in concert. We know what works for each team, and we want to share event promotions and workloads and more. Our ground game for the next few weeks will become completely guerrilla. I’m actually surprised how well developed our infrastructure has become statewide already, and I think with a little more coordination, it will be a force of nature. We are also continuing to build connections outside of agriculture because this issue is so much more than agriculture. Finally, if conditions change on paid-signature gathering pricing, we of course will return to paid collection. Cavanaugh: Will the signatures for the 2016 ballot be valid for the 2018 ballot? Cavanaugh: I understand one reason you added the 2018 option was the sudden and crazy surge in street price for paid signature gatherers – more than double their previous rate? Bettencourt: There are currently 12 propositions in the state that need signatures, so the price per signature has jumped from $2.00 to $5.00 and could go higher in a last ditch scramble to qualify by the April 26 deadline. Never before this year has an initiative signature gone above $3.00; this is truly unprecedented! We had budgeted to gather signatures at $2.65 to $3.65 each, normally a strong offer, but it would be irresponsible and unsustainable to be caught in the frenzy and pay double for signatures without guarantee of qualification. Such an expenditure would have implications for the fall election campaign for the measure if we qualify. For this reason, we simply told the company to pause on gathering signatures for the time being, but to remain on stand-by. We expect the market will shortly calm down. Cavanaugh: So in tapping the breaks on the professional signatures, you are now relying on the volunteer base to get the needed number? Bettencourt: We have swung our resources over to maximize our already strong volunteer side. We will continue our fundraising, of course. If we reach the week before the April 26 deadline and think we have enough signatures, we will turn them in to qualify for the November 2016 ballot. If not, we will continue collection until we qualify for the 2018 election instead. Cavanaugh: Are there any benefits to being on the 2018 ballot? Bettencourt: Yes, there are a couple of positives to rolling to 2018. When the April 26 deadline hits, the other 11 or so propositions that are paying $4 to $5 per signature may all either qualify, roll over, or drop out. Then the initiative market stabilizes, we can jump back in and pay only $2 per signature or less, a significant savings. With no other propositions on the street, the price will drop, the field will be clear and our efforts will yield higher numbers of signatures. More importantly, if we were to qualify for 2018, we would be among the first propositions to qualify, and we would be higher up on the ballot. Ballot position is important; if you are low on the ballot, the likelihood of getting a ‘yes’ vote is generally more difficult. The mid-term election without a presidential election can also create a less expensive election with fewer initiatives. And with Governor Brown a lame duck in his last year as governor in 2018, he may be less inclined or he may lack fundraising capacity and resources to fight our initiative. Some Democratic candidates for his seat are already declared opponents of High-Speed Rail, so that would also help. Cavanaugh: What about the provision in your initiative that would reallocate $8 billion in unused High Speed Rail (HSR) bonds to water storage? Will that fund be essentially empty in 2018? Bettencourt: We double-checked with attorneys engaged in fighting HSR and with the Citizens for California High Speed Rail Accountability (CCHSRA) group. Both said the HSR Authority could not access that funding in the interim, unless they were to fulfill their complete system plan. Given they are not close now and never have been, and HSR continues to be held accountable through the courts, it is highly unlikely they will be able to touch that money in the next two years. Cavanaugh: And what about the Prop 1 dollars allocated for more storage? Will the funding still be available in 2018? There is not enough money to build the water storage, groundwater recharge, stormwater capture, water recycling, etc. the state needs. The timeline does not work. The Bureau of Reclamation is clear—without a significant and immediate expansion of new surface water storage, Californians will be 4.9-6.2 million acre-feet short of having enough water to serve our families, farms and protected environment. Cavanaugh: Can you explain how growers in northern California will be safe with their senior water rights if the initiative passes? There seems to be great concern there. Bettencourt: There are two specific exemptions within the Water4All Initiative that protects all established water rights structures in California—the foundation and bedrock of our water system. Keeping these rights protected and intact when we wrote this initiative was critically important. So, our constitutional amendment refers only to prioritization of beneficial uses, which is defined as the purpose for which water is used after it has been diverted by rights. It does not change the underlying rights, whether senior or junior, consumptive or non-consumptive, or any rights subject to contractual agreements such as those held by the Sacramento River Exchange Contractors with the Central Valley Project. By definition, beneficial use is subservient to water rights. Our constitutional amendment, as well as in the statutory bond funding portion, has specific exemptions for all pre-1914 water rights, area or origins and existing water rights structures. Cavanaugh: It seems, then, the initiative strengthens senior water rights? Bettencourt: Many attorneys who have experience on matters specific to pre-1914 and other water rights, have said the initiative actually strengthens existing water right structures. It reaffirms both the past decisions of the people of our state and our earlier legislature that respectively created Article X of the Constitution and the California Water Code’s laws. Moving Section 106 of the Water Code to the Constitution resets water law to a preexisting legal framework that long guided California’s water-use decisions, but is now muddled by the courts and legislature. Restoring this clarity will yield lasting benefits to the state’s people. It will end attempts to grab water from existing rights-holders and divert it away from the purposes for which our water systems were designed and built. David Gutierrez, chief of Division of Safety of Dams and program manager for the Groundwater Sustainability Program within the California Department of Water Resources (DWR), talked with Patrick Cavanaugh, California Ag Today’s farm news director, regarding dams and the DWR in Sacramento. California Ag Today: Please explain the differences between the DWR and the State Water Resources Control Board (SWRCB). Gutierrez: This is actually really important to understand. DWR and SWRCB have completely different functions, just generally. We have different functions with the Sustainable Groundwater Management Act (SGMA) passed last year. The responsibilities of DWR lie with developing the regulations—the rules—and assisting the locals to be successful. SWRCB is the backstop; they are the ones who are actually going to manage a basin that is not being managed successfully. They are completely different; SWRCB is a Board and DWR is not a board; it’s a department. California Ag Today: Do you think SWRCB should have been thinking about the things we are doing today 20 years ago? Gutierrez: On the record, the citizens of California, everybody, should have been thinking about this more than 20 years ago. You can’t really blame one group; all of us should have been thinking about this 20 years ago. We usually don’t solve problems until we get into a crisis, and that is where we are. California Ag Today: Wasn’t it 40 years ago when the dams were denied or no longer supported by the population? Gutierrez: So the Central Valley Project and SWRCB were both supported in the 20’s and 30’s, all the way up through the 70’s. After the 70’s, things did change and dams stopped getting built, but also most of the resources were already tapped at that point. So now you are seeing reservoirs being built off stream as most of the resources on stream have already been tapped into. So, there is a little more to it than people being for or against dams. California Ag Today: Do you think the Temperance Flat and Sites Reservoirs will ever be built? Gutierrez: It is an economic question, so I bet if you did an economic analysis, during certain times it would be economically feasible, and at other times it would not be. You have got to tie in the value of the water; if water becomes valuable, it is worth doing the project. If water is not valuable, you can’t afford the project. FRESNO, CA – Westlands Water District is encouraged TODAY by the introduction by Senator Dianne Feinstein of the California Emergency Drought Relief Act of 2015. The State is facing unprecedented drought conditions, and the water supply shortages caused by four years of extraordinary dry conditions have been exacerbated by the restrictions imposed on the operations of the federal Central Valley Project and the California State Water Project under federal law. The introduction of the California Emergency Drought Relief Act of 2015 is an important step in the enactment of legislation to provide much-needed relief for the public water agencies that receive water from these projects and for the people, farms, and businesses they serve. There are great similarities between this bill and H.R. 2898, the Western Water and American Food Security Act of 2015, which passed in the House of Representatives on July 16, 2015. However, there are also great differences. Westlands looks forward to quick passage of the California Emergency Drought Relief Act of 2015 by the Senate and to subsequent discussions in conference to reconcile the two bills. Through its work with Senator Feinstein and Members of the House of Representatives, Westlands knows that these policymakers are genuinely interested in working together with the District and other interested entities (a) to find a meaningful legislative solution to the chronic water supply shortages that have devastated the San Joaquin Valley and other regions of the State and (b) to provide effective means of protecting at-risk species. The District looks forward to working with them to find common-sense solutions that serve the interests of all Californians. Recently, California Ag Today spoke with Les Wright, Ag Commissioner of Fresno County on how that county is traditionally the highest rated in statewide, and nationwide, in agricultural output of many specialty crops, but water restrictions have bumped the county down a few rungs. “Fresno County, since 1954, has been the number one agriculture producing county in the world, with two exceptions. The most recent exception was in 2013, documented in our last crop report, when the water shortage was a West Side-only issue,” said Wright.